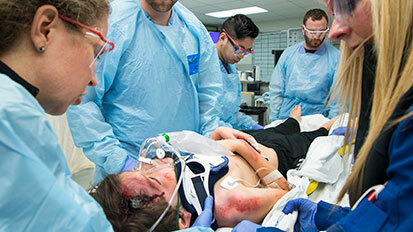 UW Medicine Trauma & Emergency Services provides emergency medical services 24 hours per day, seven days per week, and is staffed and equipped to care for all emergent medical conditions, illnesses and injuries. Our research scientists advance the standards of trauma and emergency care by exploring new therapeutic strategies to enhance the care of these complex patients. This video provides an overview of how to use the Broselow Tape. The Broselow tape is a standardized, color coded, pediatric emergency measuring tape. This tape provides you with a rapid estimate of a child’s weight based on their recumbent length. This video provides a step-by-step demonstration of how to best use a spine board when treating and immobilizing children and infants. This curriculum is designed primarily for inpatient providers (physicians and nurses) of early care to injured children. 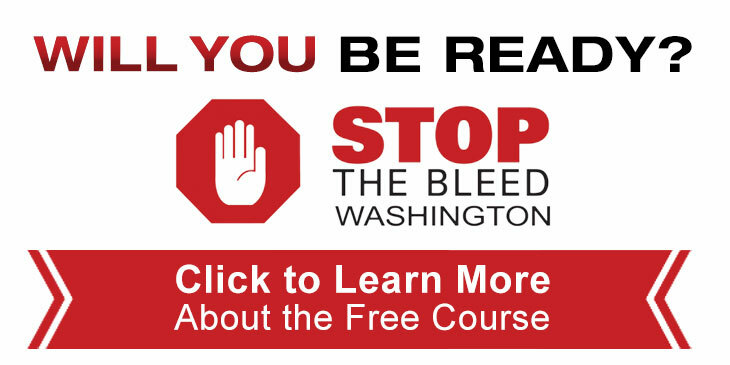 It has been specifically designed as a resource to allow providers in adult-designated trauma centers and pediatric-designated trauma centers in Washington state to meet the "Pediatric Education Requirement" (PER) developed by the Washington State Emergency Medical Services and Trauma System, and defined in Washington Administrative Code (WAC 246-976-700). However, the curriculum is also of potential value to all pediatric trauma care providers, both in the inpatient and prehospital settings. Screening, brief intervention, and referral (SBIRT) can be used for both alcohol and drug issues. Algorithm for the initial management of traumatic brain injury. This document contains guidelines of when to transfer the critically injured and/or ill pediatric patient. To ensure life threatening injuries are identified appropriately, a systematic approach should be taken when assessing patients with pelvic fractures. The decision to transfer to the next higher level of care must be made rapidly based on the physician's assessment and clinical expertise. This document serves to consolidate recommendations from existing guidelines to provide concise, evidence-based, expert panel rated lists of protocols and practices to improve trauma care among elderly patients. To rapidly identify intracranial hemorrhage in anticoagulated patients and reduce the time from presentation to reversal of anticoagulation. Early aggressive trauma care has been shown to improve outcome for geriatric patients with survivable injuries. This Trauma Team Activation Criteria Guideline defines the minimum patient criteria for full or modified trauma team activation. A trauma evaluation and management guideline for initial evaluation and management of blunt thoracic aortic injury (TAI). Abdominal trauma remains a leading cause of mortality in all age groups. A systematic approach should be taken when assessing the trauma patient. To provide guidance for determining if a trauma patient has a cervical injury; adult and pediatric algorithms. Major Extremity Trauma Research Consortium (METRC). (2016) Building a Clinical Research Network in Trauma Orthopaedics: The Major Extremity Trauma Research Consortium (METRC). J Orthop Trauma. 2016 Jul;30(7):353-61. doi: 10.1097/BOT.0000000000000549. UW Medicine is a world-class academic health system. We accomplish our mission—improving the health of the public—by providing patient care, educating tomorrow’s health professionals and conducting leading-edge medical discovery. Across Washington, Alaska, Montana and Idaho, Harborview Medical Center is the only facility providing Level I trauma services – the most advanced care, available 24/7 – to adult and pediatric patients. Airlift Northwest is the pre-eminent provider of air medical transport services in the Pacific Northwest, dedicated to providing safe, efficient air medical care to critically ill and injured infants, children and adults.